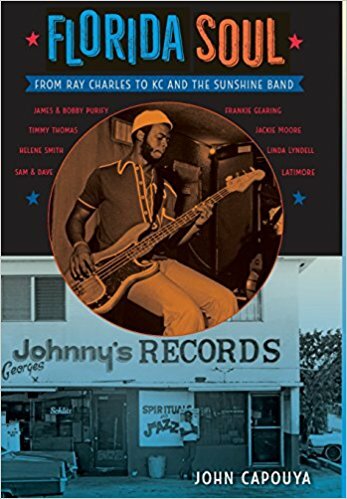 Though the state of Florida doesn’t immediately come to mind as a hotbed of soul music, journalist John Capouya attempts to correct this oversight with his new book Florida Soul: From Ray Charles to KC and the Sunshine Band. Using his “antennae for passionate vocals and funky sounds with Florida origins,” he delves into the period from 1945-1980, when Florida produced “some of the most electric, emotive soul music this country has ever heard.” Capouya attributes this flourishing scene in part to the fact that Florida, along with Texas, was the “densest and richest segment of the chitlin’ circuit,” bringing all of the major African American artists through the state. Each of the 20 chapters is dedicated to a particular artist or producer, some famous and others lesser known, but all contributing an interesting story: Ray Charles (“the catalyst of the entire soul explosion came from Greenville, FL”); Sam Moore (“from Miami’s Overtown neighborhood”); sax players Ernie Calhoun and Noble “Thin Man” Watts; Lavell Kamma and the 100 Hour Counts (“one of Florida’s longest-running soul groups”), the singing duo James & Bobby Purify (one chapter each); vocalists Helen Smith, Frankie Gearing, Jackie Moore, and Timmy Thomas (his 1972 anthem “Why Can’t We Live Together” is sampled in Drake’s “Hotline Bling); Latimore (who first recorded for Henry Stone), Wayne Cochran (“the white James Brown”); white soul singer Linda Lyndell; producer Papa Don Schroeder, and of course KC and the Sunshine Band. Other chapters are dedicated to the state’s most famous label owners—Henry Stone and T.K. Productions (which rightly receives two chapters) and Willie Clarke and Deep City Records—plus a chapter explaining how “The Twist Came from Tampa.” Along the way many other artists are mentioned, along with other Florida labels such as Jayville, Tener, Marlin, Leo, Alston, D & B, Glades, and Bound Sound. Florida Soul is an engaging and informative read, placing an emphasis on the stories behind the singers and the songs gleaned from historical research as well as interviews with surviving musicians, singers, producers, deejays, and other industry personnel. 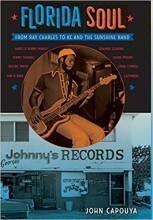 The book is an important resource on a music scene that’s never been fully documented within a single volume, adding greatly to our understanding of American music and, in particular, the soul, R&B, disco and funk grooves emanating from the Sunshine State in waves the spread across the nation. Following are additional albums released during November 2017—some will be reviewed in future issues of Black Grooves. Following are additional albums released during October 2017—some will be reviewed in future issues of Black Grooves. Following are additional albums released during August 2017—some will be reviewed in future issues of Black Grooves. Dr. F. James Clark Presents NextGeneration Choir – Sure. Focused. Centered. Sure. Focused. 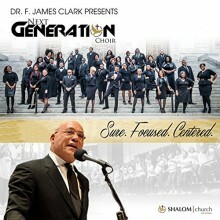 Centered is the debut album of the St. Louis Shalom Church City of Peace’s young adult ensemble NextGeneration Choir. 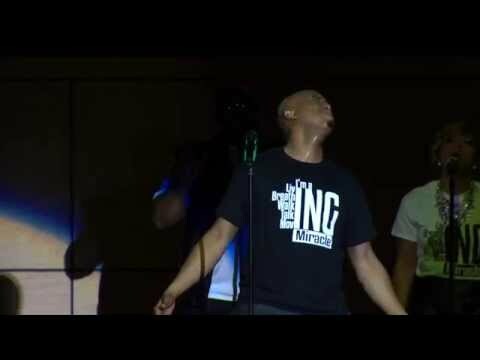 It is a contemporary answer to the church’s first project, Simply Amazing (2015), which featured powerful, gospel songs performed by their mass choir. 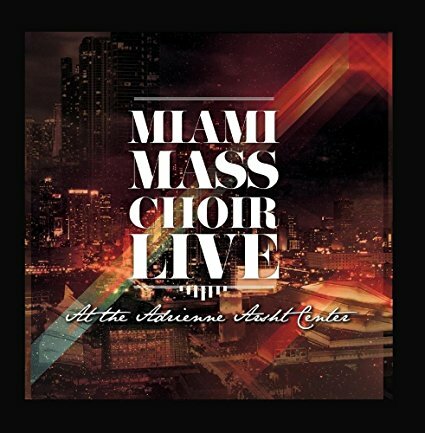 The album opens with the bold and dynamic anthem “Psalm 23” which features unpredictable rhythmic and dynamic shifts with soprano, alto, and tenor (SAT) voices interweaving as they sing the scriptural passage. The debut single “You Are” is a fun and memorable up-tempo song that describes attributes of God. While the chorus is a simple repeated phrase, “You are,” it does not lack energy or momentum due to surprising and powerful vocal interjections by the sopranos (who are quite a force on this album). Another noteworthy piece is the traditional gospel styled “Blessing Me,” featuring the St. Louis based vocalist Meaghan Williams-McNeal. Alongside the choir and soloist’s robust performance, ragtime tinged piano plus funky horns, a healthy backbeat established by the rhythm section, and an energizing tambourine set the stage for a rocking musical worship session. Similarly, NextGeneration and acclaimed soloist Chrystal Rucker channel Sunday morning worship with the piece “I Have a Testimony,” which features a wonderful call and response interplay between the soloist and choir. Overall, this album offers a sampling of contemporary (and even traditional) gospel stylings that is sure to encourage listeners to be Sure, Focused, and Centered in their faith. Following are additional albums released during July 2017—some will be reviewed in future issues of Black Grooves. 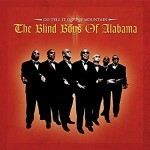 Sunday Song’s traditional gospel and gospel covers are also especially noteworthy. “The New Church Medley” is string of both old and newly composed up-tempo call and response congregational songs which all ramp up to the popular church tune, “Great Things/I’ll Say Yes to My Lord.” For this heavy hitting number, Wilson is joined by singer Tommie White and vocal powerhouse Yolanda Adams who passionately improvise during the vamp. 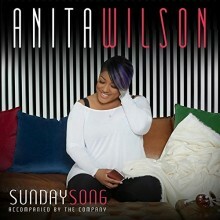 In a different light, Wilson has also transformed some gospel favorites like Richard Smallwood’s anthem “Total Praise.” She eschews a conventional, stately performance featuring dark, bold vocal production (with heavy vibrato) and string orchestration for a paired down contemporary praise and worship style. 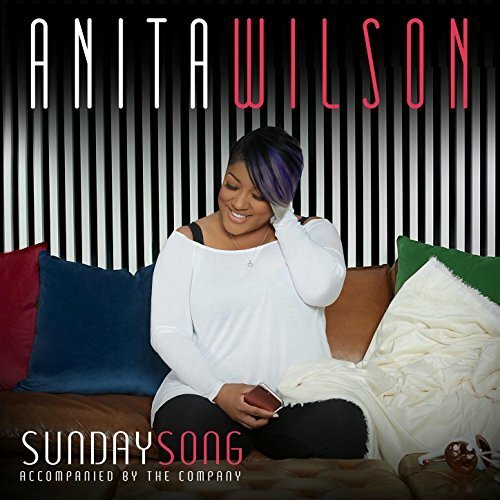 Wilson reworks the melody and softens the accompaniment transforming the chorus of “Total Praise” into a contemplative yet earnest meditation on faith. Sunday Song is a wonderful summer treat for gospel lovers everywhere. It’s a wonderful blend of older secular styles, traditional gospel music, with timeless lyrics that are sure to inspire listeners to sing, dance, and have faith. *Quote taken from an on-air interview with Detroit, MI radio personality Randi Myles. **Wilson suggested the music of Luther Vandross influenced the creation of this song in an on-air interview with radio personality Erica Campbell. 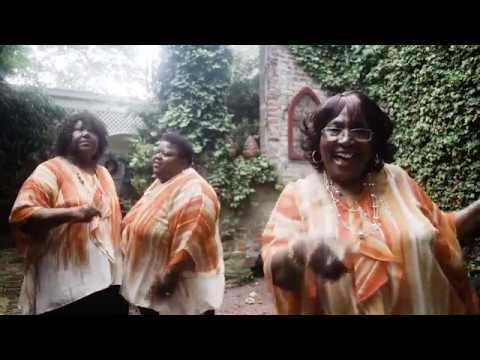 In a little corner of Mississippi, the Como Mamas have performed traditional gospel since their youth growing up in the Jim Crow South. On their second album, Move Upstairs, they continue to share music from their rich heritage with a sweet power and joy that’s sure to inspire any listener. While their first project, Get an Understanding, was a cappella, Move Upstairs features gospel favorites accompanied by understated instrumentation that’s stylistically reminiscent of the soul and gospel music popularized in the mid-twentieth century. 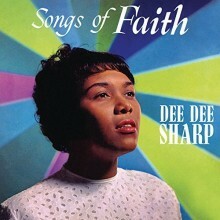 Stand out selections include the title track “Move Upstairs” led by Della Daniels. 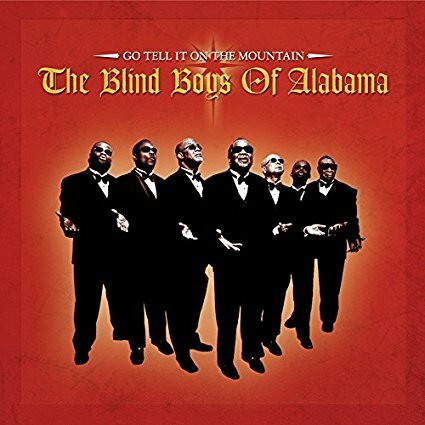 Two of the members first recorded an a cappella version of this song on the Daptone compilation Como Now (2008). However, the new rendition features a groove undergirded by a walking bass that shapes this piece into an exciting declaration of faith. With a rich and smoky voice, Daniels sets the tone for the song, conveying intensity and excitement about her pending trip to heaven. Fans of the trio will also certainly appreciate their version of the song “Glory, Glory Hallelujah.” With only a bass drum and tambourine for accompaniment, the raw power of the group’s voices alone conveys their prayerful emotion. 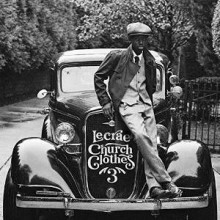 Lastly, the track “Count Your Blessings” is a noteworthy remake of Luther Barnes’ up-tempo contemporary gospel choir piece, “What the Lord Has Done,” into a laidback song of encouragement. 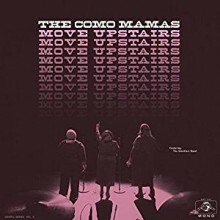 With a rousing call and response interplay, the Como Mamas intimately convey their message. 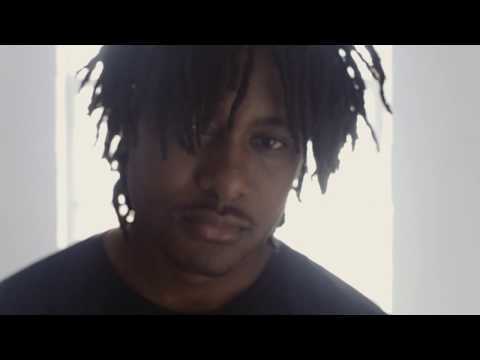 Moreover, the accompanying music video (above) imbues the group’s singing with bit of lightheartedness and reminds listeners to smile, dance, and practice gratefulness in every circumstance. Though her name may not be quite as familiar to contemporary gospel music fans, Edna Gallmon Cooke ranks right up there with Mahalia Jackson, the Caravans, the Roberta Martin Singers, and the Famous Ward Singers in the pantheon of great gospel artists. Her untimely death in 1967 cut short her recording career, and accounts for her underappreciation when compared to her contemporaries. On My Joy, producer and gospel historian Per Notini has gathered together Cooke’s rarest recordings over the two decades of her career, attempting to fill the gaps left by two previous compilations of her works. This is a rare gift indeed, for which all gospel music fans can be grateful! Cooke, who was born in 1918 in Columbia, South Carolina, was raised in her father’s church. The family relocated to Washington, D.C. where her father founded the Springfield Baptist Church, where Edna served as choir director before attending Temple University in Philadelphia. Her ambitions to sing secular music took a 180 degree turn after witnessing a performance by Willie Mae Ford Smith, and from this point forward she devoted herself to gospel music. The compilation begins with Cooke’s first five recorded performances from 1948-49, which reveal her sweet and supple soprano characterized by a very fast, shallow vibrato. Included is her first single to get considerable airplay, “Angels, Angels, Angels” (composed by Indianapolis gospel artist Beatrice Brown), accompanied by the Mt. Vernon Men’s Choir of Washington, D.C. Cooke’s popularity was already rising when she was picked up by Essex Records for her next pair of singles. “Have You Got Room?” (circa 1950-51), accompanied by the Young People’s Choir of her father’s church, shows a powerful transformation in her vocal style. The sweet soprano is now capable of raising the rafters! My Joy was released in a limited pressing on the Swedish label Gospel Friends. Don’t wait too long to pick up a copy for your collection. This album is the second collection of The McIntosh County Shouters recorded and produced by Smithsonian Folkways. 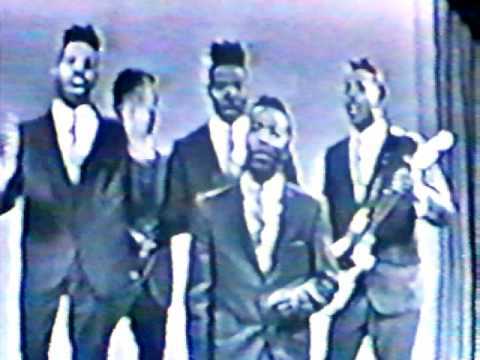 The first, The McIntosh County Shouters: Slave Shout Songs from the Coast of Georgia was released in 1983. 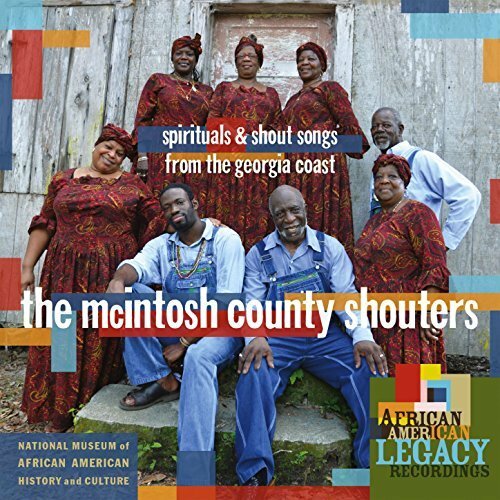 The Shouters belong to a third generation of people freed from slavery and their featured songs on this album are performed exclusively for the traditional ring shout. In 1993, the group received the National Endowment for the Arts National Heritage Fellowship, which is considered to be the greatest honor for the traditional arts in the United States. It is satisfying to hold such a project in your hands, with 17 tracks and a 40-page booklet accompanying the physical CD. Each song incorporates the essential elements of the ring shout: the rhythmic hand-clapping, a stick beating the floor, the soul-filled spirituals, and the fusion of call-and–response singing. All that is missing on this album, as described in the liner notes, is the visual element—the ability to watch the shouters shuffling in a counterclockwise circle. To amend this problem, Smithsonian Folkways created an accompanying short documentary film that shows the Shouters singing and dancing together. Brenton Jordan, the youngest Shouter today, looks forward to the future of the tradition and believes the strength of the shout community will continue to thrive. Canadian opera singer Measha Brueggergosman is known for the versatility of both her voice and her career. As a classically trained soprano, she performs both operatic roles as well as those of a concert artist. Her latest project, Songs of Freedom, is a collection of spirituals that corresponds with Brueggergosman’s discovery of her family’s history in Canada. 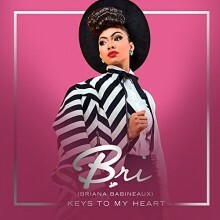 The album is much more than just a collection of spirituals, however—it is also part of a larger documentary project including a film, a 4-part TV series, mobile app and interactive website with narratives from both Brueggergosman and the owner of Chalet Studio, in which some of the spirituals were recorded. The documentary explores how she came to know these spirituals, and to learn about herself and her family history in the process. The website for the Songs of Freedom project provides a number of complementary elements to the album. In addition to performance videos showing Brueggergosman and her collaborators, there are also essays written by Brueggergosman, the musicians with whom she worked, and scholars of African American music. These essays help to frame the project and provide a foundation on the importance of spirituals to the black musical tradition. Also featured on this website is a 360 degree performance video of Brueggergosman recording “Swing Low, Sweet Chariot,” one of the spirituals featured on the album. The 360 scope of the video provides an intimate portrait of how she explored these spirituals and eventually made them her own. Musically, “Swing Low, Sweet Chariot” is definitely one of the highlights of the album, along with other slow tempo spirituals such as “I Surrender All.” These two especially allow Brueggergosman’s voice time to fill in spaces, rather than to be rushed. In this exploration of spirituals, she joins the company of other black operatic singers such as Jessye Norman and Kathleen Battle. Within the documentary series and the accompanying album, Measha Brueggergosman is doing important work to uncover her family’s history and also elevate the status of spirituals as repertoire. 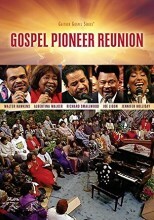 Any fan of gospel music will love this DVD and CD set, which includes favorites such as “Oh Happy Day,” “I Shall Wear A Crown,” and “Can’t Nobody Do Me Like Jesus.” All the audio and video post-production was done at Gaither Studios in Alexandria, Indiana–the same site where the Gospel Pioneer Reunion originally occurred. 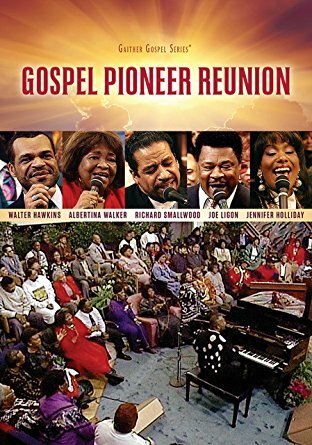 Though the DVD is certainly reflective of the quality of most video equipment used in the 90s, it is still great to see the actual performances of these amazing gospel artists. The audio is high quality, which makes the CD extremely enjoyable even as a standalone piece. Though recorded almost 25 years ago, Gospel Pioneer Reunion stands the test of time. The 100 minutes of joyful, zealous praise and worship preserves and celebrates some of the most influential and talented gospel music singers of the last couple decades. Highly recommended purchase for all libraries! Reissue label Dust-to-Digital made a big splash with their inaugural release Goodbye, Babylon in 2003. 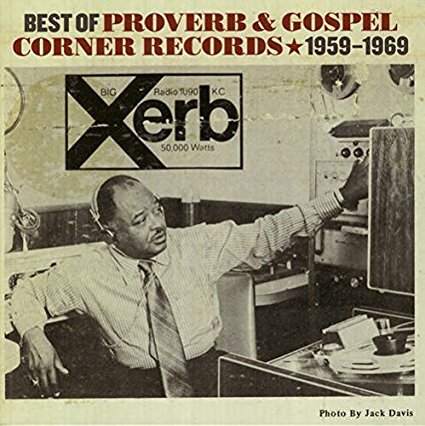 The wonderfully packaged multidisc box set explored many long forgotten and unreleased songs by gospel artists and sermons from preachers recorded in the early 20th century. One of the standouts from that collection was the work of one Washington Phillips (1880-1954). 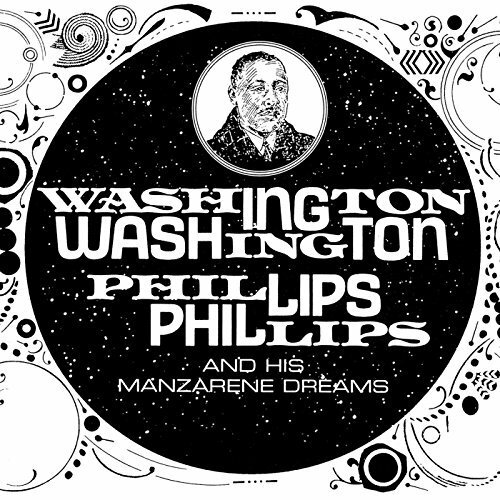 On his two tracks included on Goodbye, Babylon, Phillips’ singing is backed by a mysterious instrument of his own creation called a Manzarene. Those two tracks sparked a renewed interest in Phillips, leading to a search for more recordings. Washington Phillips and His Manzarene Dreams is a newly remastered and expanded edition of Phillips’ worked pulled from original 78-rpm discs recorded between 1927-1929. As with many high quality box set releases, an excellent complement to the music itself is the pristine 76 page hardcover book/liner notes included with this collection (the CD is slipped inside the front cover). The book traces the legend of Washington Phillips from birth to death, debunking oft retold misinformation that may have been circulated in prior collections of his work. Tapping people that knew the man himself, as well as his own meticulous research, writer Michael Corcoran explores the history of Phillips dating back to his grandfather, born into slavery in 1801, and up to Phillips’ death in 1954. Along the way Corcoran details stories about Phillips’ home life, career, the creation of the aforementioned manzarene and even a cousin with the same name whose life journey ended much differently than Phillips’ own. The book also includes photos and reproductions that help bring Phillips’ story to life, contextualizing his musical contributions. His work has since been covered by artists such as Arizona Dranes, Mavis Staples and Phish. This deep dive into Phillips’ gospel blues has unearthed gems that are sure to make more converts of artists and fans alike. The album features a multitude of musical stars including Mavis Staples, Michael Franti, and even George Clinton on an arrangement of “Away in A Manger.” Energy-filled tracks such as “Last Month of the Year” are balanced with tranquil tracks such as their a capella version of “Joy to the World” featuring NOLA R&B singer Aaron Neville. With this star-studded cast and a ton of holiday cheer, Go Tell It On the Mountain is sure to brighten your December. 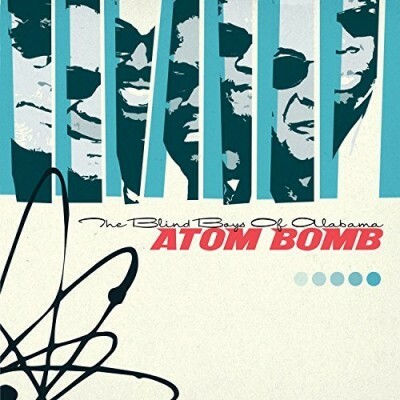 Omnivore has also released an expanded edition of The Blind Boys’ 2005 album Atom Bomb, featuring gospel standards such as “Faith and Grace” along with more contemporary songs like their cover of Norman Greenbaum’s “Spirit in the Sky.” The expanded edition features instrumental versions of seven songs plus a new essay from Seay. 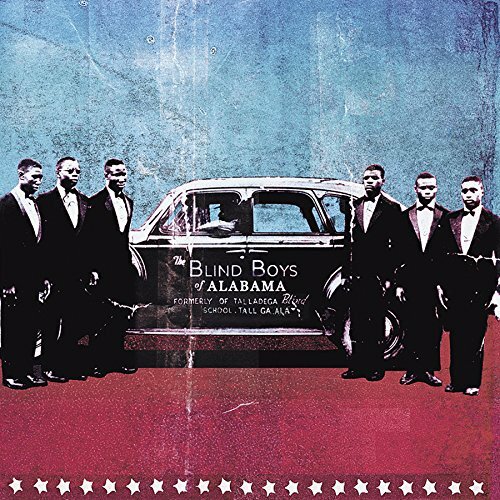 Any Blind Boys of Alabama fan will enjoy the new insights and commentary offered in Seay’s essays and the additional versions of their classic hits. Billed as the “ultimate collection,” this new compilation from Shanachie is indeed a must have for all gospel music enthusiasts. Featuring 22 previously unleased songs recorded between 1946-1957, Moving On Up a Little Higher was produced by well-known gospel historian Anthony Heilbut, who was also responsible for last year’s Marion Williams compilation, Packin’ Up. A tireless researcher, Heilbut scoured archives across the country to locate the gems included on this disc. 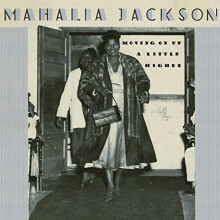 Nine of the selections were recorded in 1957 during Mahalia’s first appearance at Newport Jazz Festival, where she was accompanied by both Mildred Falls on piano and Dickie Mitchell on organ. Heilbut notes that Mahalia followed her chief rival, Marion Williams (Clara Ward Singers), who also performed at the festival, perhaps inspiring Mahalia to greater heights. Whether or not there’s any truth to this assumption, the inclusion of other gospel singers at the festival likely helped Mahalia channel the Holy Spirit in this very secular setting. Though she had already recorded some of these songs, her renditions at Newport are often much more intense than her studio recordings for Apollo, and later Columbia. The disc opens with Mahalia explaining to the Newport audience, “You know, I’m really a church singer – I may have this rock ‘n’ roll, but I’ve got to feel this thing – I got to get it to be a part of me, you know? Hallelujah!” Then she tears into “Keep Your Hand on the Plow,” rocking and shouting to the heavens. This is followed by a swinging version of “Jesus Met the Woman at the Well” and the Mahalia standard “Troubles of the World,” a slow burner starting on a low moan that sends chills up the spine. Next is Roberta Martin’s arrangement of “Didn’t It Rain,” which Jackson “builds to a shouting explosion.” This leads into Thomas A. Dorsey’s “I’m Gonna Live the Life I Sing About In My Song,” and the obvious crowd favorite, “In the Upper Room,” which Jackson recorded for Apollo in 1952. Here she only includes the chorus, but still manages to brings down the house. The Newport set closes with several more crowd favorites: a shouting rendition of “When the Saints Go Marching In,” the Rev. W. Herbert Brewster’s “Move On Up a Little Higher,” and “His Eye Is On the Sparrow” which includes some impromptu testifying. The next batch of recordings were sourced from The William Russell Jazz Collection housed at The Historic New Orleans Collection. This fabulous treasure trove of rare material includes two tracks recorded in 1951 during a folk music concert at Chicago’s Wendell Phillips High School. Mahalia sang six songs at this concert, but only two are included here: Alex Bradford’s “Savior More Than Life To Me” (never commercially recorded by Jackson), and “I’m Glad Salvation Is Free.” The latter was one of her biggest hits, and on this performance she ad libs verses not included on her 1950 Apollo recording. Four months later, Jackson was the featured guest at a symposium held in 1951 at the Music Inn in Lennox, MA. Two more tracks come from this performance: “He’s Pleading in Glory For Me” composed by her good friend Robert Anderson, and “Have a Little Talk With Jesus”—a gospel standard by the noted Baptist preacher/composer Cleavant Derricks, Sr.
Now, for the crème de la crème. In 1955, William Russell also recorded rehearsals in Mahalia’s Chicago home, and I understand these have only recently been digitized and made available to scholars. A haunting, a cappella performance of “Dark Was the Night and Cold the Ground”—the same song first recorded by Blind Willie Johnson in 1927—is included on track 2 (the disc is not sequenced chronologically). Jackson similarly lines out “Before This Time Another Year” and “When The Roll Will Be Called In Heaven,” as well as “Father I Stretch My Hand to Thee,” which is preceded by her memories of Mount Moriah Baptist Church in her hometown of New Orleans. Even more enticing, there’s Mahalia accompanied by the great Thomas A. Dorsey on “Peace! It’s Wonderful” which segues rather abruptly into “Coming Back Home to Live With Jesus.” Though brief, this remarkable track captures a rare pairing of the “Father” and the “Queen” of gospel music. The last gem from the William Russell Collection dates from a 1956 CBS Sunday morning television broadcast, featuring Mahalia on “There’s Been a Great Change In Me,” described as an old shout song rearranged by Doris Akers with Jackson singing in a higher range than usual. The final tracks of the disc are also extremely significant, since they document Mahalia performing gospel music in sacred settings. “Beams of Heaven” was restored from a one-of-a-kind lacquer disc aircheck of a 1946 Bronx, New York church radio broadcast. Even better, the compilation closes with Jackson singing Rev. W. Herbert Brewster’s “Getting Happy In Chicago,” sourced from a 1948 aircheck of a live broadcast from Chicago’s Greater Harvest Missionary Baptist Church. In 1945 the church’s founder, Rev. Louis Boddie, began to broadcast Sunday services over radio station WAAF, which aired coast to coast. Thankfully, a number of these broadcasts from 1948 were recorded on wire reels by Melville Herskovits and later deposited and preserved at the Indiana University Archives of Traditional Music. Heilbut, who also wrote the liner notes, begins his essay with 8 compelling reasons why Moving On Up a Little Higher should be considered the definitive Mahalia compilation. Needless to say, we can find 22 reasons why any gospel enthusiast will want this CD, since each track is a treasure. Music and place often go hand-in-hand. Take the Mississippi Delta, for example. The region’s association with the blues has made the city of Clarksdale a site of pilgrimage: one can visit the Delta Blues Museum, explore the Mississippi Blues Trail, and visit the famous Juke Joint Festival. Recording engineer Michael Reilly asks us to consider a less-explored musical tradition of Mississippi’s Delta—a capella gospel music. To make his case, Reilly has recorded three albums of sacred African American music in Como, Mississippi— just thirty miles from Clarksdale—for Daptone Records. His third release, Panola County Spirit, features the gifted Walker Family Singers. 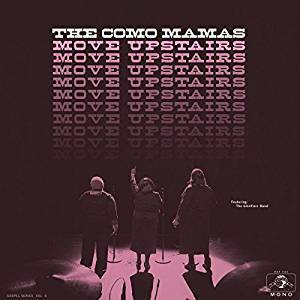 Known throughout Como for their musical talent, the group is spread over two generations: parents Raymond and Joella; daughters Alberta, Patricia, and Delouse; and sons Bobby and Robert—all of whom appear on the album. Just like their music, faith has been a practice shared among the Walker Family. They identify themselves as “vessels for God” and understand music as a tool to deepen their relationship with Jesus. The Walker’s commitment to the Lord is strong—Raymond Walker even turned down offers to tour with legendary musicians Fred McDowell and Sam Cooke, as he committed himself to making music for the Lord, rather than commercial gain. 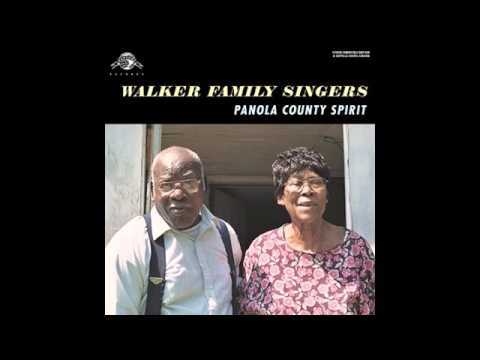 Through seventeen tracks of spirituals, hymns, and quartet-style singing, Panola County Spirit features the Walker Family in both individual and group settings. In harmony, the Walker Family Singers shine on “Jesus Gave Me Water”—a classic gospel quartet performance. The song’s abridged rendition leaves the listener with feet tapping and a thirst for more. The individual performances from the Walker Family hold just as much power as their ensemble offerings. On “Make Me Real,” daughter Patricia Walker begs with a disciple’s conviction for Jesus to “teach [her] heart what’s right.” Joella Walker’s lament on “Had My Chance” is a chilling reflection upon missed opportunities to praise the Lord during a life that is coming to an end. While the majority of Panola County Spirit is a capella, “Oh Lord Hear My Voice” and “Leave That Liar Alone” feature clapping and body percussion. Their heightened energy, as compared to other tracks on the album, leaves one to wonder about the power of these songs when performed in Como’s local churches. The strong recording quality on the album is worth noting, especially since the songs were recorded in Raymond and Joella’s living room. On the other hand, Michael Reilly’s liner notes, at times, raise eyebrows. He calls the process of recording the Walker Family Singers “fishing these old dark songs” (are these “old” songs not being sung today? ), and places his own interpretation of the album’s music in front of the Walker Family’s sacred associations. 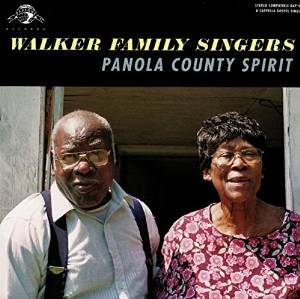 Production questions aside, Panola County Spirit proves two things: that the Mississippi Delta is rich in music beyond the blues, and that the Walker Family Singers are some of the region’s best voices to praise His holy name. Noteable tracks on Amen! include Pops Staples’ “More Than a Hammer and Nail” (originally released in 1962 on Riverside), featuring the soulful voice of Mavis, and his “Do Something for Yourself” which presages their later hit “Respect Yourself.” Also included are two songs, “As an Eagle Stirreth Her Nest” and “My Jesus Is All,” by Rev. W. H. Brewster—the legendary Memphis-based gospel hitmaker. The album concludes with the title track “Amen” by Jester Hairston, popularized the previous year by the Staples’ fellow Chicagoans, The Impressions. Again, the Staples’ take a more traditional approach, retaining the marching beat of the snare drum and frequent key changes, but slowing the tempo significantly and, of course, dispensing with the somewhat over-the-top horn section. The follow-up album opens with the title track, Why? (Am I Treated So Bad), a commentary on segregation and the Little Rock Nine which became a standard during the Civil Rights Movement (the Staple Singers later reissued the song using a rhythm section). Other highlights include Pops’ arrangements of the traditional songs “(I’ve Been ‘Buked) I’ve Been Scorned” and “I’m Gonna Tell God (About My Troubles),” the uptempo “King of Kings,” the Pervis composed and sung “Step Aside,” and the closing song “Move Along Train” featuring Mavis in the lead with Cleotha singing back-up. These two albums showcase the sound of the Staple Singers before they became ambassadors of the gospel soul era and fill in gaps on the recent 4-CD box set, Faith & Grace: A Family Journey 1953-1976. 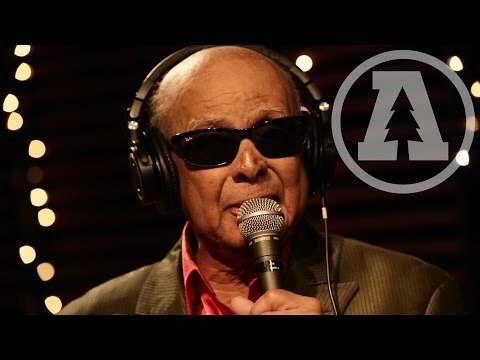 The Relatives are a gospel funk band that formed in the late sixties, pulling together the rock and funk sounds pioneered by Sly and the Family Stone with the traditional gospel which the group’s leader, Reverend Gean West, had by that time built a career singing. The band never achieved the success it aimed for, with performances becoming fewer and farther between during the 1970s before the group eventually stopped gigging in 1980. The liner notes for Goodbye World, the newest release from the reconstituted version of The Relatives, frame the group’s predicament this way: “Unfortunately, Gean’s innovation had too much gospel for the kids and too much wah-wah guitar and fuzzy organ for the older folks, and The Relatives never took off.” While it is certainly a shame that the group didn’t achieve the requisite success upon its formation, the band reunited in 2013, releasing a full-length album that year and playing hometown gigs in Dallas as well as some limited touring. Perhaps listeners have finally caught up with the band—if anything will convince new fans to join the fold, it will be Goodbye World. 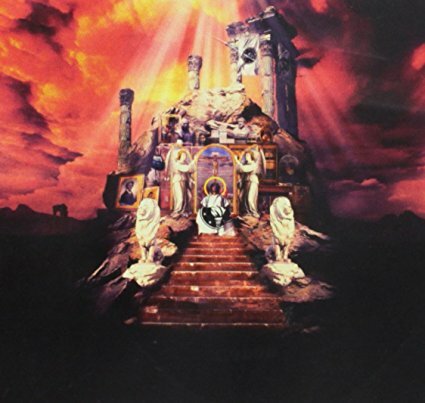 Unfortunately this album will be West’s final effort with the group, as he fell into a coma, woke from it to provide a few final contributions, and eventually passed away in the hospital while the album was in production. 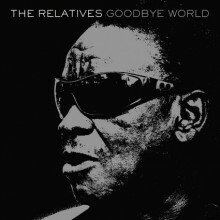 Goodbye World’s recording and production is an interesting story, one which is recounted in emotional detail in the release’s liner notes— interested listeners should read the CD booklet, because the album’s story is remarkable. Goodbye World is, however, also notable as a musical document of a niche-oriented band that has cultivated a signature style, one that appears to have solidified in 2016. While Goodbye World will likely not sound as revolutionary to contemporary listeners as The Relatives may have upon the band’s initial formation, the band has clearly developed a well-honed sound. Goodbye World is funky and spiritual; it deserves repeated listens, at least once for the sounds and at least once for the message. Omnivore Recordings is releasing expanded versions of two definitive albums by the Blind Boys of Alabama, Spirit of the Century and Higher Ground. Each album includes previously unreleased recordings drawn from live performances. Spirit of the Century, originally released in 2001, won a Grammy for Best Traditional Soul Gospel Album. 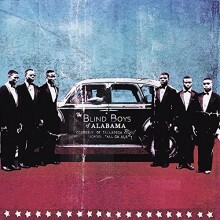 This is all the more impressive since the Blind Boys of Alabama were already 60 years into their career at that point. More recently, a version of the album’s song “Way Down in the Hole” gained national attention when it was used as the theme song for the first season of HBO’s The Wire. The expanded reissue includes seven previously unissued tracks recorded live at The Bottom Line in New York City in 2001. Released a year later, Higher Ground featured musical backing from Robert Randolph & the Family Band, as well as multiple guest appearances from Ben Harper. The album rearranged traditional hymns as well as classic songs by Curtis Mayfield, Funkadelic, and Aretha Franklin, and won the group their second consecutive Grammy. The expanded edition includes another seven previously unreleased tracks that were recorded live on KCRW radio’s Morning Becomes Eclectic show in 2002. Both reissues include new essays by author Davin Seay, which help bring a fresh perspective to these classic albums and bonus tracks. Growing up in Washington, D.C as the middle child of seven kids, Lynda Randle learned many traditional hymns from her family. During a difficult period when she was caring for her sick mother, Randle decided to record many of these hymns in honor of her parents. Ageless Hymns: Songs of Joy is the final installment in this series of three albums “dedicated to timeless, classic songs of faith.” The series is distributed through Gaither Music, a Christian music group powerhouse created and run by native Hoosiers Bill and Gloria Gaither in Alexandria, Indiana. 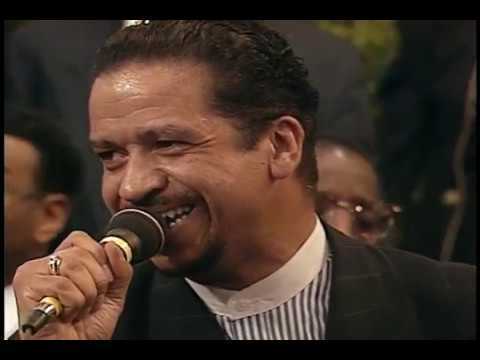 Randle is one of the only African American artists to appear regularly at Gaither Homecomings, and has released many contemporary Christian albums and DVDs as part of the Gaither Gospel Series. 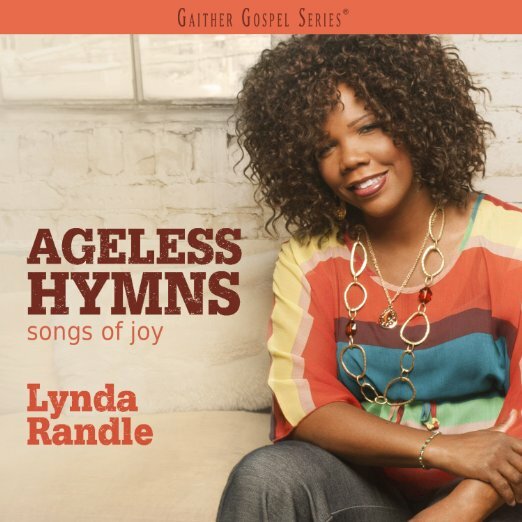 All the songs on Ageless Hymns: Songs of Joy are meant to “uplift, renew, and encourage the soul.” They include traditional hymns such as “Real, Real,” “The Windows of Heaven,” and “This Joy I Have.” The album also features originals, such as “He Touched Me” written by Bill Gaither, and “In You I Find My Joy,” written by Randle, who has composed and arranged hundreds of songs over the course of her career. Randle’s dedication to her faith is present throughout the whole album, and her passionate, soulful voice amplifies and gives life to these traditional hymns. Sam Butler – Raise Your Hands! White rock musicians drawing inspiration from black gospel music is a common story. Less common are black gospel musicians recording sacred songs written by white rock musicians. Producer Brian Brinkerhoff thought of the latter when he contacted guitarist and singer Sam Butler about doing an album together. Butler—known for his work with the Blind Boys of Alabama and Clarence Fountain—liked the proposal. The two hired a talented trio of musicians—pedal steel guitarist Roosevelt Collier, drummer Marco Giovino, and bassist Viktor Krauss—and selected songs by U2, Eric Clapton, and Van Morrison, to name a few, to record. Over three days—which Brinkerhoff called a “musical worship service”—Raise Your Hands! was born. Musically, the album moves between blues-rock grooves and songs of reflective contemplation. Tom Waits’ “Gospel Train” is a swampy invocation to join the Lord’s ride and evade the Devil’s foolishness. “Heaven’s Wall” has a similar heaviness, laid over an extended vamp. On the other hand, “Sanctuary” is a reverb-soaked ballad, with an earthy, Americana sound. Between these two poles, Butler’s dynamic voice, passionate interpretation, and praise for the Lord are the album’s common threads. 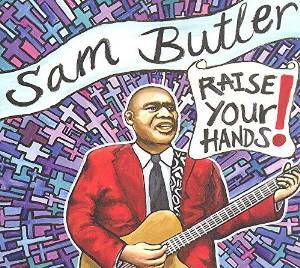 While Butler is the centerpiece of Raise Your Hands!, pedal steel guitarist Roosevelt Collier is the star. Collier was raised in the House of God Congregation—known for producing many talented pedal steel musicians. Collier’s solos on “Magnificent” and “Lead Me Father” are bold, soaring statements, while his sensitive accompaniment on the album’s slower songs is ever-tasteful. Drummer Marco Giovino, too, shines on Curtis Mayfield’s “Wherever You Leadth” and Victor Krauss is consistent throughout the release. Raise Your Hands! is an album that blurs musical lines. Sacred and secular, rock and gospel, bandleader and band member are productively eschewed, in service of the Lord and His gift of good music. This is proving to be a great year for fans of the Staple Singers. In March, Legacy re-issued their 1965 album, Freedom Highway Complete: Recorded Live at Chicago’s New Nazareth Church (reviewed here), to commemorate the 50th anniversary of “Bloody Sunday” and the subsequent Selma to Montgomery march—a pivotal moment in the Civil Rights Movement. Now, just in time for the holidays, we’re blessed with Concord’s limited edition 4-CD box set, Faith & Grace: A Family Journey 1953-1976, the first comprehensive overview of the group’s career. Drawing from over two decades of material in the vaults, the set includes both live and studio recordings. 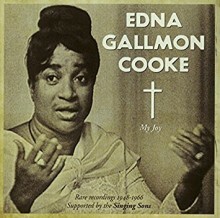 Also included are some tempting never-before-released rarities, of which the pièce de résistance is the bonus 7-inch vinyl disc featuring the earliest known recordings of the group (“Faith and Grace” ; “These Are They”) from a 1953 limited edition self-released 78-rpm disc on the Royal label. 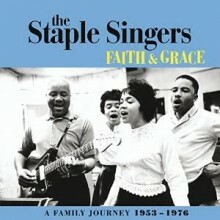 Family patriarch Roebuck “Pops” Staples, a guitarist and singer noted for his high tenor voice and falsetto, formed the Staples Singers in 1949 with his son, Pervis (tenor), and two of his young daughters, Cleotha (alto) and Mavis (contralto and bass)—who usually sang lead with her father. Another daughter, Yvonne, would later join the quartet, alternating with Pervis and Cleotha. Originally from Mississippi, Pops was exposed to both secular music, primarily the Delta blues, as well as sacred, performing in church choirs and with the vocal group Golden Trumpets. When the family moved to Chicago in the 1930s, bringing their country styles with them, they were initially ridiculed in the big city (as were most rural southerners during the Great Migration). 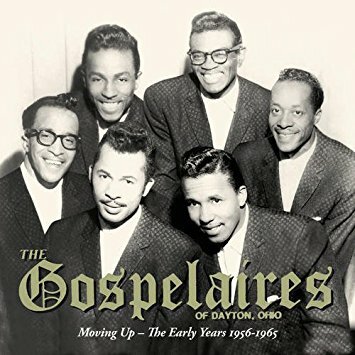 However, it would be this unique fusion of country blues, folk spirituals and gospel quartet influences that propelled the family to stardom—especially in the late 1950s and 1960s with the burgeoning Civil Rights Movement and subsequent flowering of soul music. Disc one, sequenced chronologically, covers the early years from 1953-1960. Opening with two songs recorded on September 7, 1953, the group lays into Pops Staple’s original “It Rained Children” (United 165) and a traditional song “I Just Can’t Keep It to Myself” (Gospel/Savoy LP 3001), both accompanied on piano by Evelyn Gay of the popular Gay Sisters, who only sat in at the insistence of the studio head. 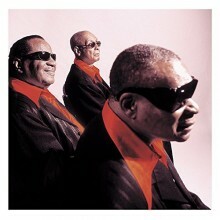 All of the remaining songs were accompanied by Pops on guitar and were recorded at Chicago’s Universal Studios for release on the African American owned Vee-Jay label, where Ewart Abner was responsible for signing the group. Also included is the previously unreleased song—“I’ve Got a New Home” from 1955. This disc brings out the raw gospel “straight from the church” side of the Staple Singers and, with the exception of their first major hit “Uncloudy Day,” many of these songs are likely not well-known to the average listener. The disc also highlights the remarkable talents of the precocious Mavis, who was only 14 when the initial tracks were recorded. Disc two continues with Vee-Jay recordings from 1960-1961, beginning with “Will the Circle Be Unbroken” and including traditional songs such as “Swing Low” and “Stand By Me.” A previously unreleased full version of the medley “Too Close/I’m On My Way Home/I’m Coming Home/He’s Alright” from a live performance recorded in Clarksdale, Mississippi in 1960 is a highlight of this disc. When the group moved over to the New York based Riverside label in 1962, they released the album Hammer and Nails (Riverside 3501). Under the direction of Orrin Keepnews, the seven songs included here from Hammer and Nails showcase a much more pop-oriented sound, purposefully targeted to a broader audience well beyond the Black church. The remaining tracks are drawn from several Riverside albums: “There Was a Star” and “Use What You Got” (with Maceo Woods on organ) from the Christmas album The 25th Day of December (Riverside 3513); “Let That Liar Alone” and the popular folk songs “Blowin’ in the Wind,” and “This Land Is Your Land” from the album This Land, with Phil Upchurch and Johnny Pate on bass (Riverside 3524); “I Know I’ve Been Changed” from the album Great Day (Milestone M 470280, though this citation does not appear in the notes) ; and “I Can’t Help From Cryin’ Sometime” from the album This Little Light (Riverside 3527). The handsome packaging includes a forward by Mavis Staples along with informative liner notes by James Miller, gospel historian Opal Louis Nations, and compilation producer Joe McEwen, accompanied by many full color photographs. It should be noted that a few typos and omissions have crept into the text, and the CD sleeves are too tight and must be loosened to allow safe removal of the discs. 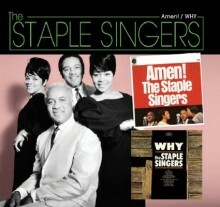 But overall this is a fabulous tribute to the Staple Singers, covering the full range of their output from the “country gospel sounds of the Mississippi Delta” to the peak of their career as soul royalty, “God’s greatest hitmakers,” and icons of the Civil Rights Movement. Don’t wait too long to purchase a copy—this set may be sold out by the end of the year. For some, the Lord is experienced through songs that make them shout; for others, quiet introspection leads them to Grace. Musician, vocalist, and songwriter Anthony Brown understands this about his audience. 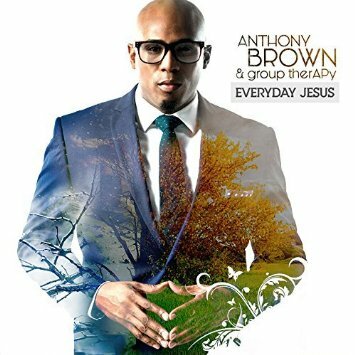 On his sophomore release, Everyday Jesus, Brown—along with the angelic voices of his choir, group therAPy, and his outstanding band—provides a pallet of musical offerings with a single intention: to bring listeners closer to the Lord. The first-half of Everyday Jesus is full of high-energy praise. “I Am (Miracle)”—a gospel classic in the making—features a danceable chorus reminiscent of EDM and a strong message to non-believers: if you want to know the miracle of Jesus, just look at me. “What He’s Done (I’m the One)” is an up-tempo nod to down-home church. The second half of Everyday Jesus features a more-subtle musical approach. “Without You” opens with the hymn “Come Thou Fount of Every Blessing,” beautifully interpreted by singer Shirley Dailey, and “The Same” features a memorable pentatonic melody accompanied by nuanced rhythmic accompaniment. Taken together, Everyday Jesus is a highly-inclusive release. One of the results of this inclusivity is commercial success. The album has already reached #1 on Billboard’s gospel music charts and the album’s single, “Worth,” holds steady at #2 on Billboard’s Gospel airplay and Gospel digital songs charts at the time of this writing. Brown’s success also has to do with the way that he understands his relationship with the Lord. For Brown, a relationship with Jesus is not one of separation, but is a quotidian relationship—hence, the album’s title is Everyday Jesus. For his listeners, the album serves as a therapeutic musical testimony of how near God can be as we move through our everyday lives. Everyday Jesus is a strong performance and full of anointing. This release is destined to bring Anthony Brown’s talent as a singer, songwriter, and bandleader to the heights—and perhaps even the canon—of contemporary gospel music.